What can I say? Capes rock. Remember when they were back in style for like a millisecond a couple of winters ago? Man, I should have bought one then—I don’t know why I waited. But I will not make that mistake for the Peach. In my mind, capes make complete sense for little girls. They are not as fussy as proper coats but have oodles of swish and sass which I think is a prerequisite for all things kid! Plus capes are just more fun than coats. 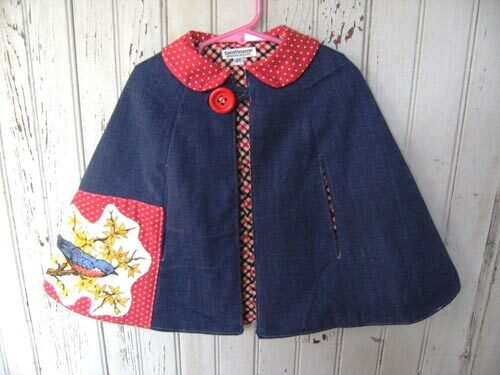 Fortunately Etsy is awash with awesome capes like these from Etsy seller, Katie Patatey who blew my mind with this demin cape with a vintage bit of cloth with a bird on it. Katie, you are killing with all this cuteness! ASboutique is selling this gorgeous handmade cape with a ruffle neckline and a straw ticking lining. I love upcycled wool projects and Handmade Charlotte’s clever use of a vintage mohair sweater to create an extra snuggly and extra gorgeous detailed collar for this this brown corduroy cape won me over. I was about to leave Etsy, but then I saw this Valentine Heart Cape made of wool felt from brand spanking new Etsy seller, Heartfelt4Kids and I nearly plotzed, it is so adorable. I need to look away or it will steal my soul–IT IS THAT BEWITCHING! Capes are also one of those things that seem very sewable. And if you are one of those people that think capes are sewable, would you please make me one with this divine vintage cape pattern from Mom’s Patterns? This particular pattern is available in two sizes–6 and 8 at Mom’s Pattern Website. Heck, I wouldn’t mind if you made me the dress too! Man, that is cute! Just imagine making the dress and cape lining match? Ooohhh….. Dream a little dream! Tagged with capes, etsy, vintage, vintage patterns. love them all. 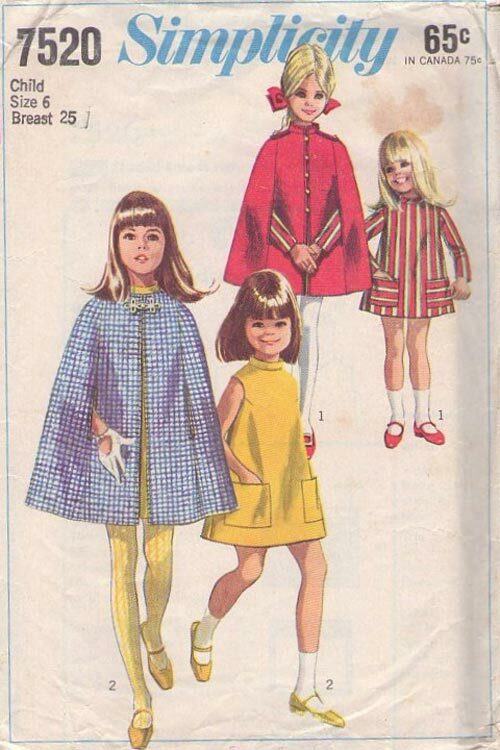 i have a couple of vintage cape patterns i think i will be getting out! Posts like this are going to make the RocketMan confiscate my credit card. Aw, thanks, ladies! 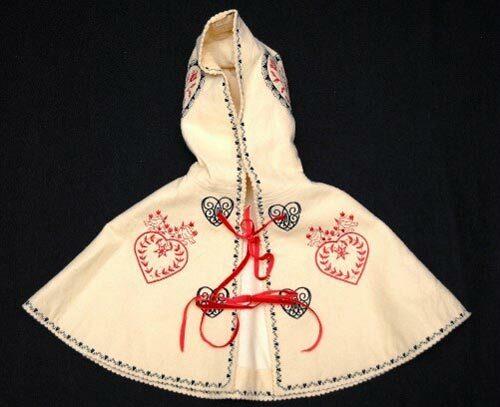 Heather–do you have a vintage cape for your little girl? Or are they your size? Either way, that is so rad. BRING CAPES BACK! And Rocketgal, you kill me! I know this site has hurt my credit card too! But upped the Peach’s cute level. These are too stinkin’ adorable!